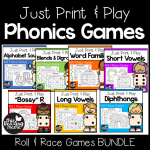 Are you working with learners on phonics patterns for reading or vowel patterns for spelling? 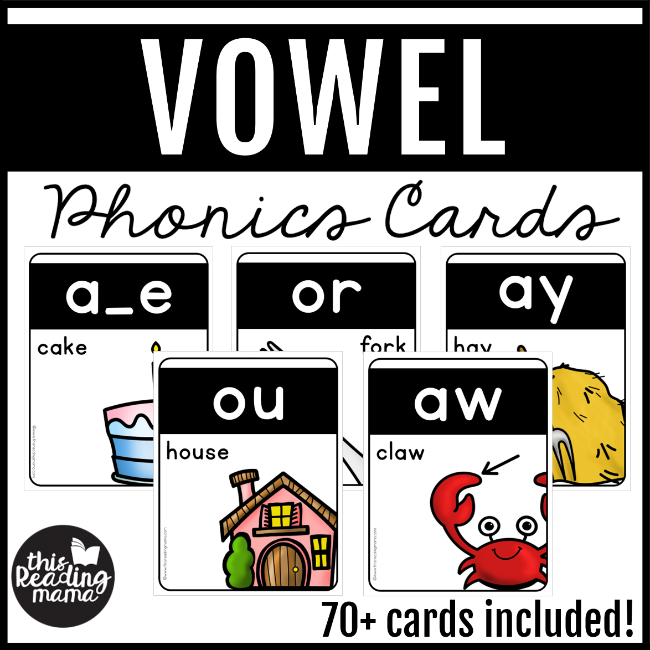 These vowel phonics cards are the perfect match for you! 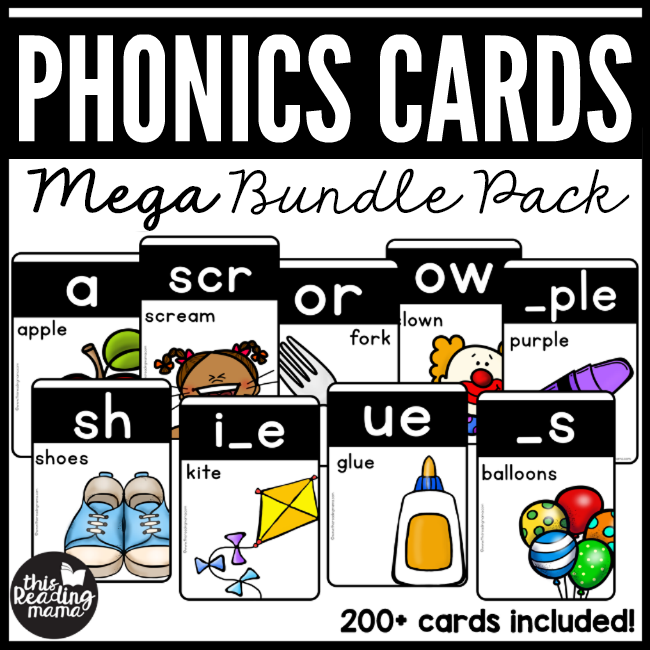 With over 70 different patterns, you’ll have exactly what you need to teach those tricky vowel patterns! 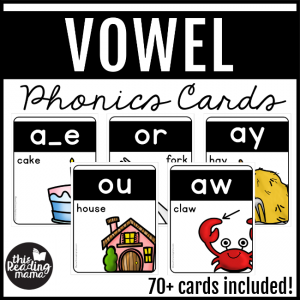 These vowel phonics cards are great for teaching phonics skills or spelling patterns. 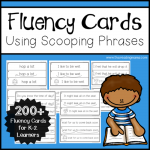 Because many of these spelling patterns are ambiguous, with several patterns representing the same sound, these cards can serve as visual reminders. 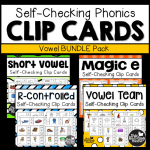 Three sizes are available in this pack: 1-full-page size, 2-half-page size, and 3- flashcards. 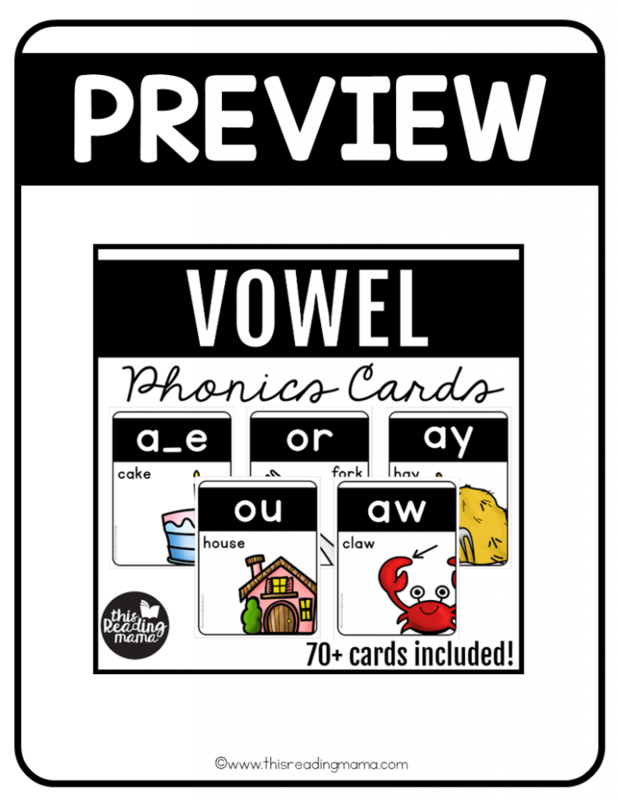 All vowel phonics cards come in color and in blackline. 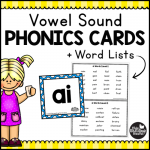 Each card includes the featured vowel pattern at the top, a picture that contains that vowel pattern, and the word for the picture. which covers ABC’s to Affixes! Grab the entire bundle and save!